Church Leaders | Wellington Chapel | A Bible-believing evangelical church in the village of Wellington, near Hereford and Leominster. The church is led by our elders. Kristian Dimond with his wife Carla. Kristian was a professional football player for Cardiff City and Crystal Palace before becoming a Christian. Feeling called to Christian ministry and after spending time talking with his Pastor he started training at Moorlands Bible College. Kristian has been the Assistant Pastor at Bethel Baptist Church in Barry since 2015. He is Married to Carla and they have 5 children. 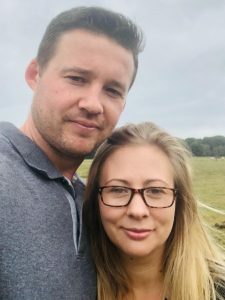 Keith and Rhiannon Weber live in Leominster but have been involved with the work at Wellington Chapel since 2008. Keith became a Christian while at university, and Rhiannon while in the sixth form. They are parents and grandparents. Keith was a Maths teacher before starting his own graphic design and printing business. Apart from studying the Bible, Keith enjoys cycling, rambling, photography and having people in the home. 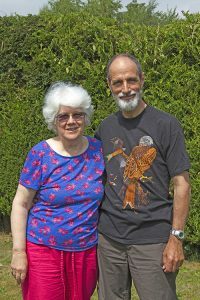 John and Kathryn Roberts became involved with the ministry at Wellington in 2006 becoming an elder at the church in 2018. They have two grown-up children and three grandchildren. John became a Christian when in his teens and has spent most of his life in full-time Christian ministry. 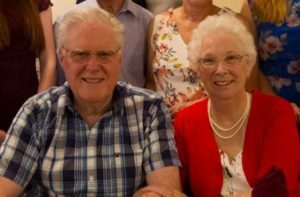 Since his retirement he has been involved in a preaching ministry throughout England and Wales, mainly on behalf of Day One Christian Ministries. John was born in Barnsley, South Yorkshire, and maintains a great love for the beautiful county. He enjoys a number of sports, particularly cricket, and follows closely the successes of his own county. He loves to travel throughout the United Kingdom and spends time relaxing with a crossword or a good book.